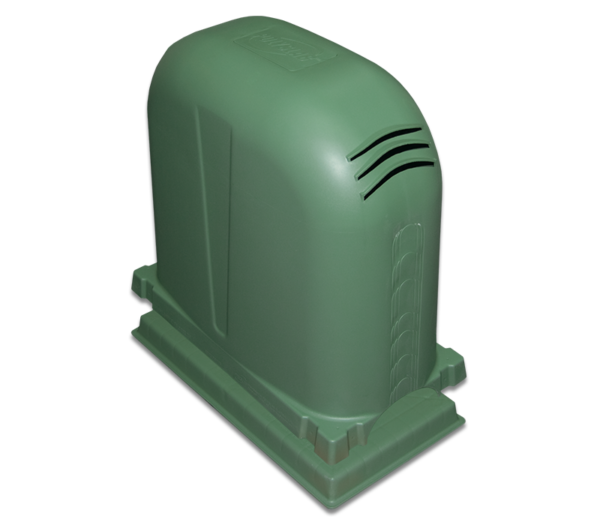 Designed in consultation with leading Australian and International Pump Manufacturers, finally, a pump cover is available that has been designed with purpose. The Polyslab Pump Cover is easy to install and unlike other covers in the market, they protect pumps from everything the harsh Australian environment has to offer. Available in 16 colours and boasting a long list of advantages, Polyslab is the easy, economical, and superior choice for protecting your investment. The Polyslab Pump Cover is the preferred product by end users in both commercial and domestic applications. Our commercial customers come from industries including Mining, Plumbing, Irrigation, Construction, and Rural with other industries such as HVAC (Heating Ventilation Air-Conditioning) and Electrical using the Polyslab Pump Cover as a solution to unique applications (e.g. housing compressors and electrical components). 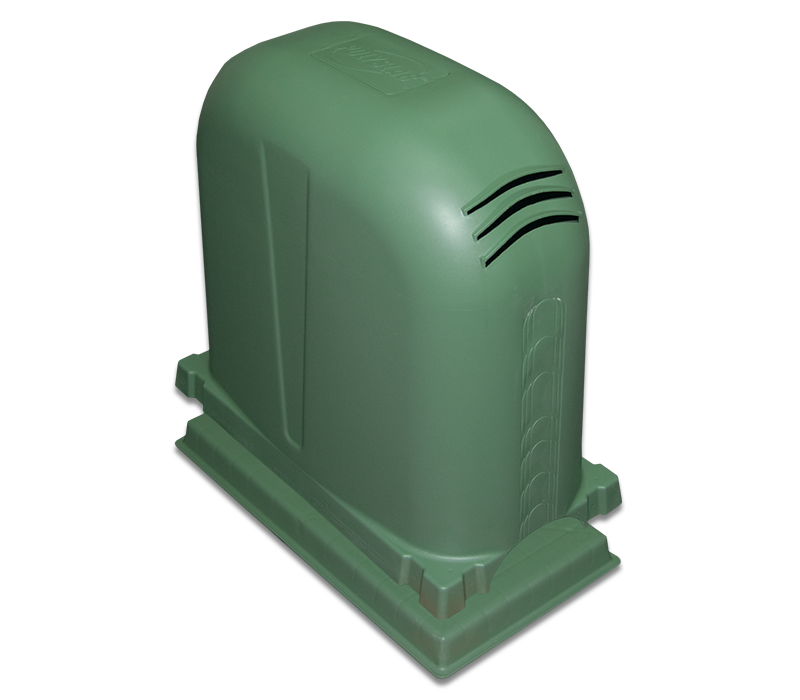 Not only is our pump cover is the perfect accessory to compliment and protect your new investment, but many people are also seeing the value in retrofitting a pump cover to existing irrigation and reticulation systems to dramatically extend the service life of their equipment. Polyslab is Australia’s most trusted Equipment Base and the product of choice with a proven history of exceeding user expectations. The Polyslab Pump Cover mirrors these market-leading footsteps. 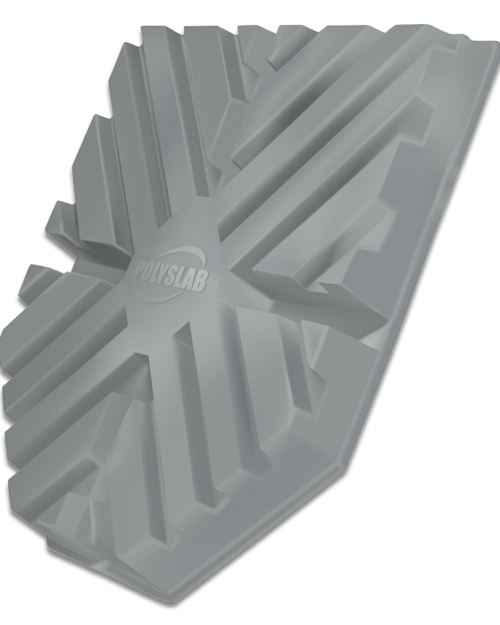 Polyslab Pump Covers are well suited for the majority of applications including increasing use with submersible bore pumps (simply cut a hole in the base and house sensitive electrical components under the cover). Each Pump Cover includes a matching Polyslab base alleviating issues associated with the manual handling injury risks of heavy concrete and the wasting time trying to match a cover to an appropriate base. Fixing equipment to a Polyslab base is easy with no risk of splitting a slab while drilling. The cover itself is easy to work with and fabricate to your specific needs with an easy cut and snap pipe entry points. Also, the superior qualities of the polypropylene material itself lead to easy fabrication should you require pipe entry or adjustment outside of these standard guides, the hydrophobic nature of the material means that the base will not hold moisture, assisting in the prevention of “rusty feet” attacking your pumps integrity. Polyslab is the lightweight, recycled, eco-friendly, Australian made, wholly Australian owned, UV stabilised, durable and impact resistant solution you’ve been looking for. 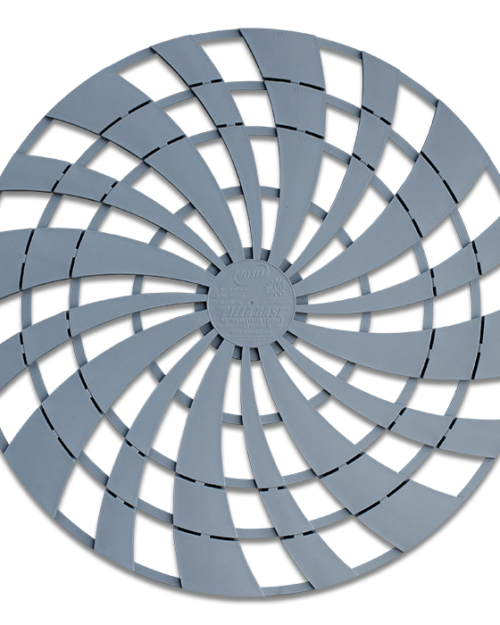 With a super strong and continually growing support network and usage applications across Australia, New Zealand and the USA, the choice to use a Polyslab Pump Cover is an educated and well-respected decision. 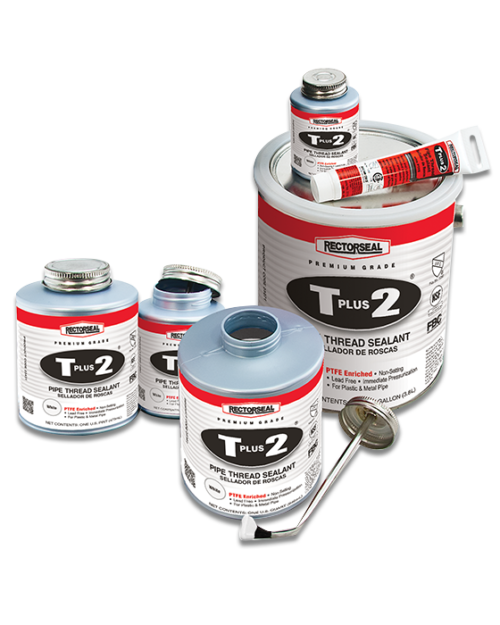 See our product brochure or distributors list or contact our friendly staff for more information. Matching base included at no extra cost. Lightweight: cover = 2.7kgs, Base = 1.6kgs (a concrete base of similar dimensions will weigh upwards of 24kg). Water resistant cooling vents create natural thermal convection preventing equipment overheat. Easy to follow cut and snap pipe entry points. Emergency water duct allows water to escape in case of pipe failure. Multiple footing points to secure the cover to the base. Stylish design means no more rusty steel or unsightly bulky covers. No new methods – install the base as you would concrete slabs/pavers, only easier. Polyslab will not chip or crack like concrete reducing the costs associated with wastage. Evolve Composites sources only the highest quality materials. 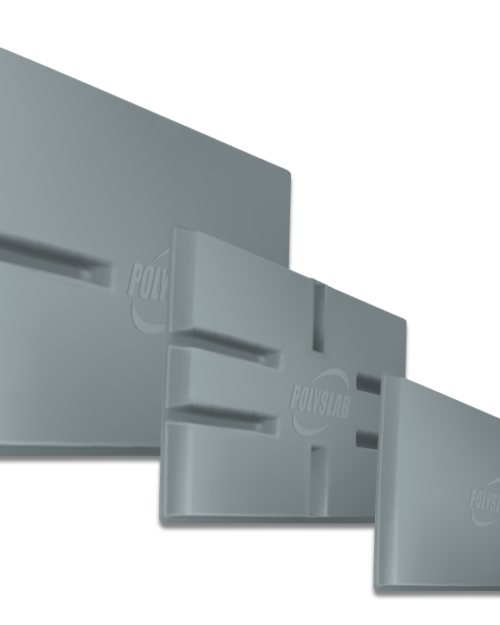 Polymer design ensures Polyslab won’t corrode or grow mold like unsightly concrete bases. UV Stabilizer is rated for at least 8-10 years; actual product life extends past the UV stabiliser rating.